The simmering battle over how best to expand Toronto's subway network grew more contentious and complicated after a Metrolinx board meeting Thursday. 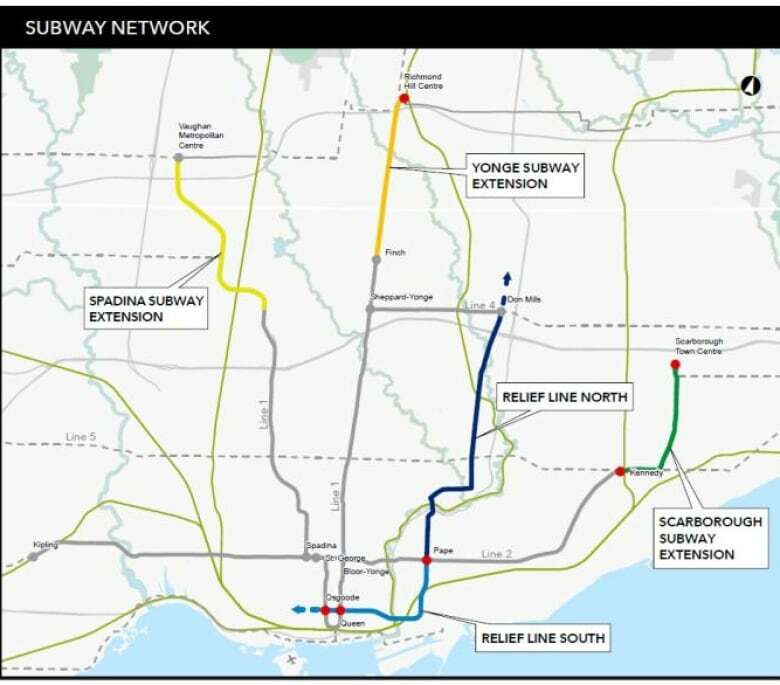 During the meeting, planners for the provincial transit agency said the downtown relief line must open before Line 1 is extended farther north into York Region. The two projects are both considered integral to Metrolinx's 2041 Regional Transportation Plan. However, there are disagreements between experts and municipalities about which line should take priority. The long-discussed downtown relief line — called the Relief Line South by Metrolinx — would run south from Pape Station and terminate at either King or Queen Stations. The proposed Yonge North Subway Extension would run from Finch Station to Richmond Hill Centre, just north of Highway 407. A proposed extension of the relief line would also connect Pape Station to Don Mills Station on Line 4. 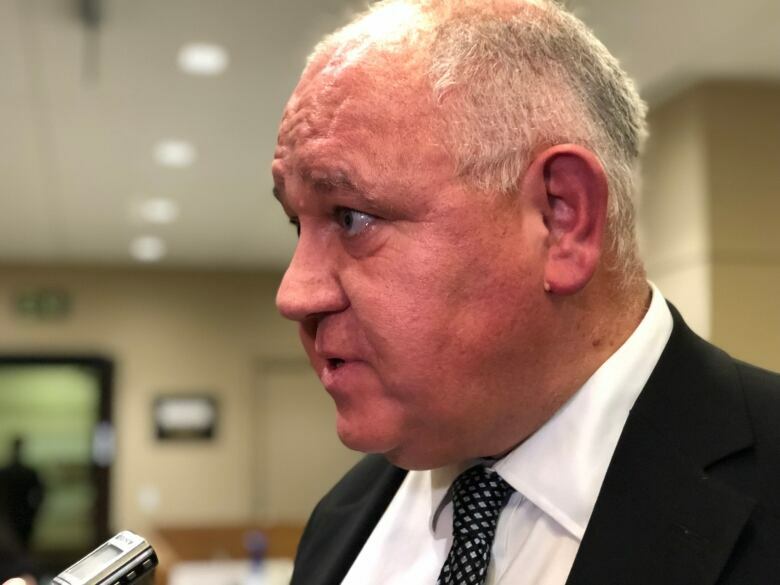 Markham Mayor Frank Scarpitti, also the chair of the York Region Rapid Transit Corporation, attended the meeting to push back against claims that the relief line must open first. He has been advocating for construction on the Yonge extension to begin as soon as possible. "When I hear data being presented that gives momentum to the fact that the Yonge subway shouldn't start and get underway, you're going to hear from us in York Region," he said. "The Yonge subway extension is not going to take a back seat to any other project in the GTA." According to Metrolinx projections, ridership on Line 1 would exceed peak capacity by 2041 if the Yonge Subway Extension opens first. The planners project that Line 1 would operate under peak capacity if the Relief Line South opens first. 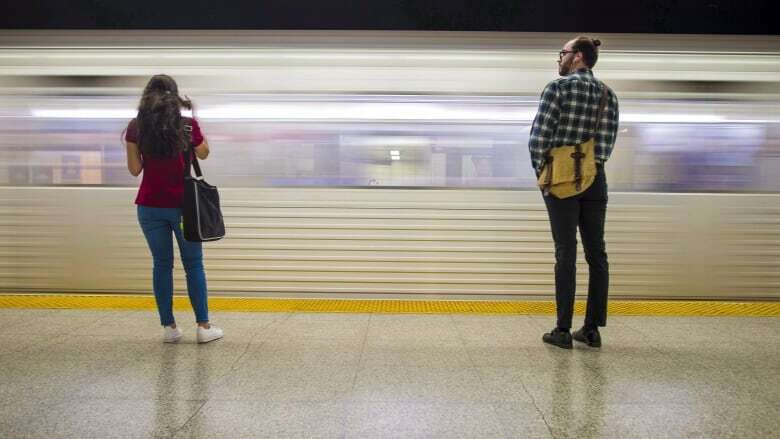 "We've had instances already where Yonge and Bloor station became overcrowded and started to near unsafe conditions," said Matti Siemiatycki, an associate professor in urban planning at the University of Toronto. Line 1 can currently accommodate 28,000 people per hour during peak periods, though automation upgrades are expected to raise that figure to 33,000 per hour in 2020. The line currently operates at or above capacity every weekday, according to the Toronto Transit Commission. However, Scarpitti argues that Metrolinx's projections are inaccurate and make "broad assumptions" about future ridership. In a letter to the board, he said that only 20 per cent of future riders boarding in York Region would actually travel past Bloor-Yonge Station. "The continued failure to get on with the construction of the Yonge subway extension, a critical rapid transit gap, should not be impeded by further ridership modelling analysis paralysis," he wrote. Metrolinx President and CEO Phil Verster spoke privately with Scarpitti for several minutes following the meeting, but later told reporters that the facts remain unchanged. "We welcome the passion of Mayor Scarpitti," Verster said, before adding that "every bit of data we've got suggests the Relief Line South must be opened first." Experts say the jockeying and confusion is a result of uncertainty around transit funding and management in the GTA. The Ford government has pledged to "upload" the TTC's subway network to the provincial level, though specifics of the plan are not yet clear. Scarpitti has said he supports a provincial takeover if it will lead to faster construction. The provincial and federal governments have both pledged billions of dollars for transit infrastructure, but neither project is funded yet. 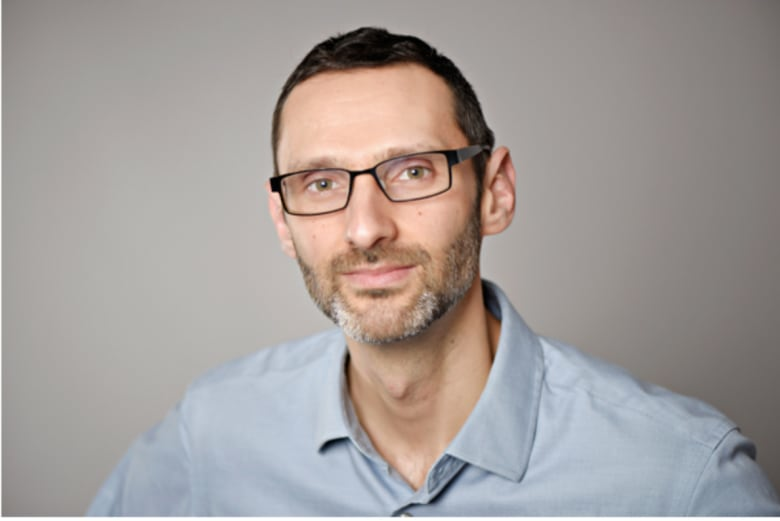 "When there's unpredictability about funding, you start to see different parts of the region really putting their claims in and staking their claims much more vigorously," Siemiatycki explained. "There's concern that if they don't go to the front of the line, there's not going to be money later on."